That's the bass bar. 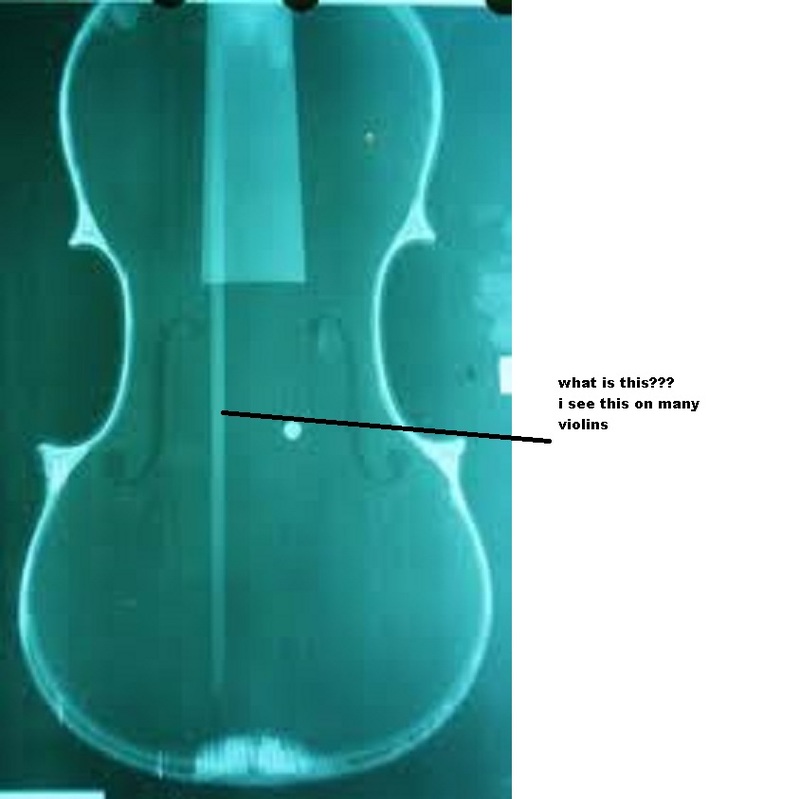 It's very important to the structure of the violin. It helps the sound in tone and power and also supports the top plate. It is also located under the bass side of the bridge, the lowest string, very close to the bridge foot. Similarly, the sound-post is located on the treble side of the bridge very close to the other bridge foot. I guess you can figure out why it's called the Bass bar. If you are really SERIOUS about becoming a Luthier, I strongly suggest (especially with your current knowledge of the craft) that you look into a school such as this. You are the perfect candidate for becoming a highly crafted and skilled Luthier, want to know why? Well, because you haven't learned anything yet, nothing wrong or incorrect and as a "sponge" your mind will soak up all the "correct" stuff from the beginning. I work on violins part time and although I'm far from qualified to make one, I can do limited repairs and mods as required. I know enough now, to know that I don't know enough. Make sense? Congrats on your interest and I hope you the best.